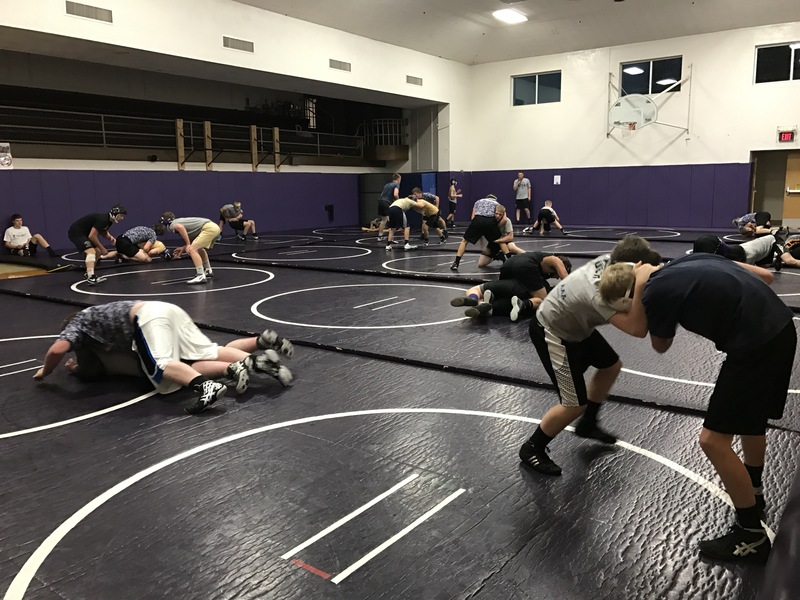 Thursday’s Varsity Dual at Z-M moved to Friday, 6:00 p.m. start. Thursday’s dual with Z-M in Mazeppa has been moved to Friday, 1/12/18. The time has been adjusted as well. The varsity dual is an hour earlier, starting at 6:00 p.m. The Junior Varsity action will start at 4:30 p.m. Predicted bad weather has closed both schools Thursday, forcing the HVL event to be pushed back a day. Match Day! 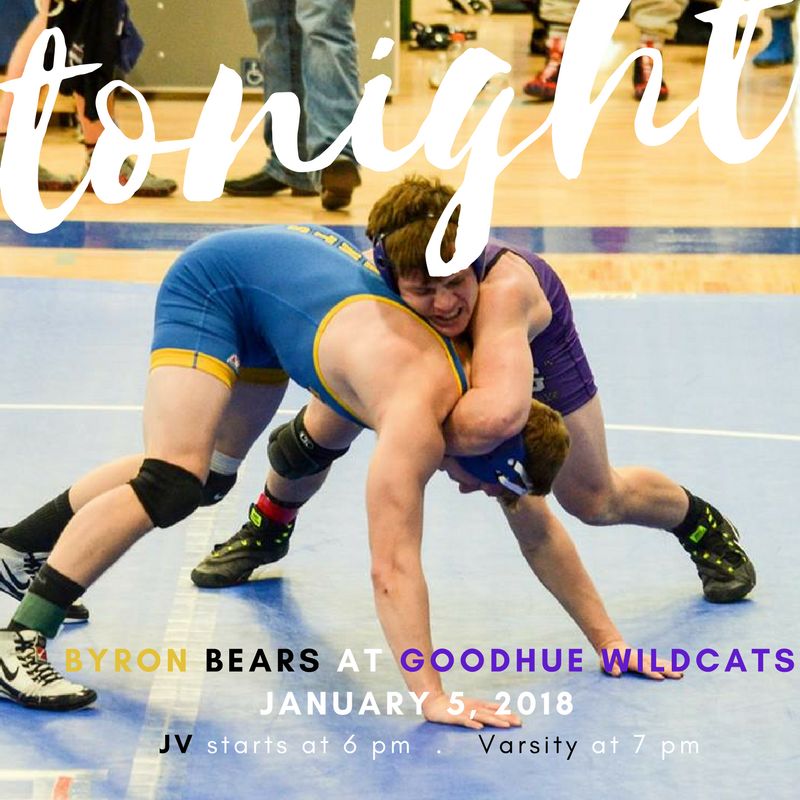 Goodhue hosts Byron! Goodhue hosts its first home dual of the 17-18 season tonight! JV starts at 6:00 and the varsity around 7:00 to start the HVL Conference schedule, facing off against the Byron Bears. Afterward, join us in the Commons Area for cake to celebrate Kelby O’Reilly’s 100th win! Please Join us this Saturday, December 16th for the Goodhue Wrestling Club’s annual social and fundraiser at Dar’s Pub, 5:30 pm to close. $20 will get you food and a cup. You can also participate in our 50/50 drawing and buy a $10 ticket for a chance to WIN! Proceeds from this event helps to support our Wildcat Wrestling programs from elementary up to varsity. Thank you for your support!!! 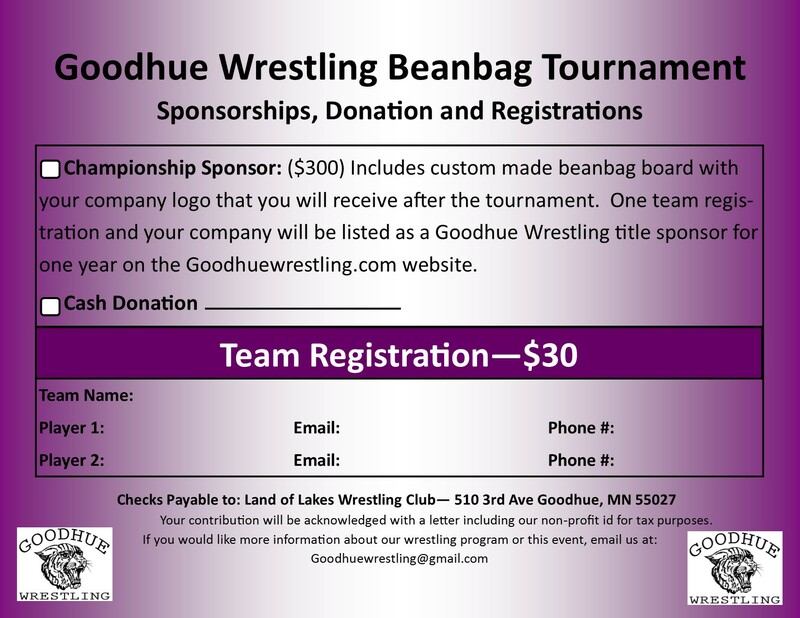 We are excited to announce that we will be hosting the Volksfest beanbag tournament thanks to the generosity of the the Goodhue Jaycees. 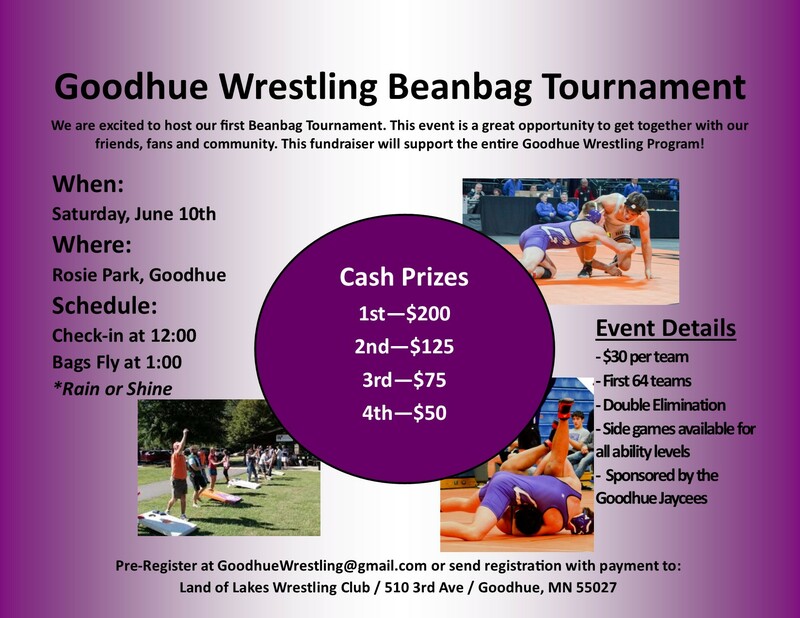 This great event will be held Saturday, June 10th beginning with registration at noon and at 1:00 bags will fly! This event is open to all ages and ability levels. We will have several side games along with our main event, a 64 team beanbag tournament double elimination bracket. 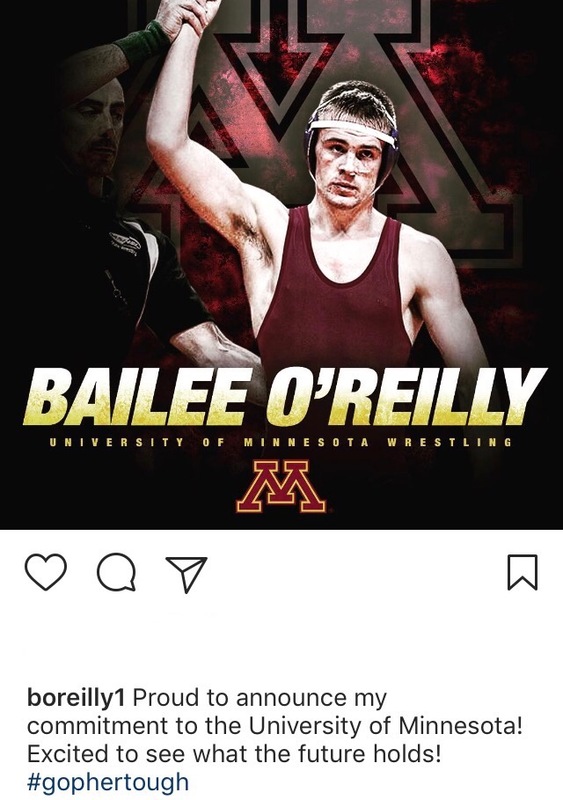 Bailee O’Reilly commits to wrestle for Minnesota! Goodhue’s first 2x State Champion Bailee O’Reilly has verbally committed to wrestle for the University of Minnesota. This is Goodhue Wrestling’s first wrestler to compete at the Division I level. Bailee was recruited by multiple schools and divisions. At this point Bailee plans to pursue a business major after finishing high school with a 3.5+ GPA. He also received a $1k academic scholarship from the Minnesota Wrestling Coaches Association (MWCA). On the mat, Bailee was a 6 year varsity starter, a winner of 185 career matches, a 3x state entrant and a 2x State Champ, winning the 152A title in 2016 and the 160A title in 2017. The upcoming season will likely be a red shirt year. Bailee expects to compete at 165 pounds for the Gophers in open tournaments. Bailee will sign his National Letter of Intent (NLI) on National Signing Day Wednesday, April 12th, at 3:00 in the wrestling room. Fans and friends are welcome to attend.